Limelight Farm riders have had an amazing middle of 2015! 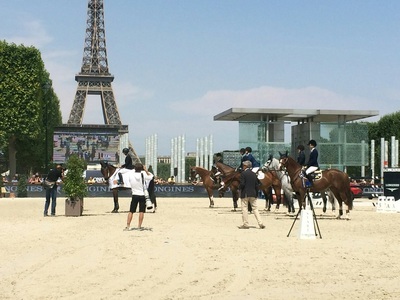 From Championships at the Vermont Summer Festival in the short/long stirrup with Alana Prawl and Alexa Greco, to Isabella winning ribbons in 1.35m jumpers in Paris and Monaco, then back stateside with Chloe Wilkenfeld winning the CHJA Junior Medal Finals, we have had an amazing trip! 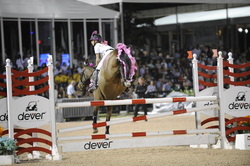 We are so proud of all of our riders, both in competition and at home for their numerous accomplishments. Limelight Farm has a new home! December 1, 2014 Limelight will be moving to our new location at 550 Guard Hill Rd, in Bedford, NY. This relaxing and secluded farm is both beautiful and highly functional. 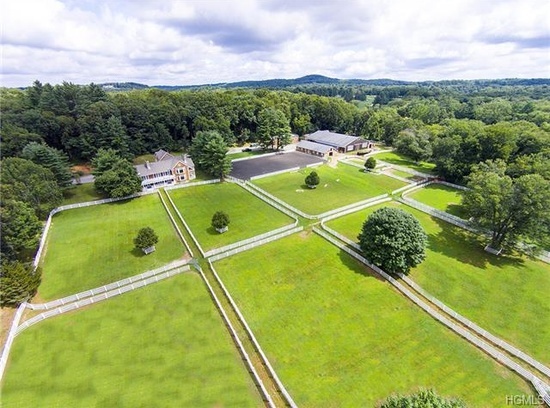 With direct access to the trails, new all weather footing, brightly lit indoor arena, and a mini Grand Prix course, Limelight's new farm has every aspect of horse training covered! 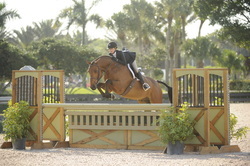 Also, we a proud to announce that Limelight Farm has put together two IEA teams! Our middle school team members are Shea Ehrhard, Jamie Edwards, Emma Walter, Lucy Alfino Egler, Alexa Greco, Allie Gold and Kaitlyn Sill. Our high school team is comprised of Parker Wright, Hannah Soifer, Jeremy Pember, Quinn Stoner and Kacie Geary. 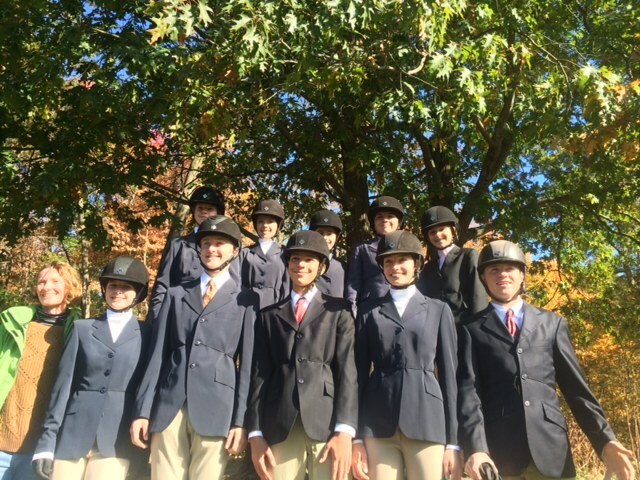 These dynamite teams attended their first IEA show at Gardnertown Farm on October 12th. The high school team finished up reserve champion with wins from Parker Wright (who also secured the Open Championship) and Quinn Stoner. Jeremy Pember and Kacie Geary also rode to great ribbons to help their team. The middle school team started off with a bang from Emma Walter who won her over fences class, ribbons from Alexa Greco, Lucy, Allie, Shea and Jamie helped the middle school finish up 3rd overall! Great job guys!!! Big thanks go to the team coaches, Jenn Zala and Missy Wright as well as the incredibly supportive parents! 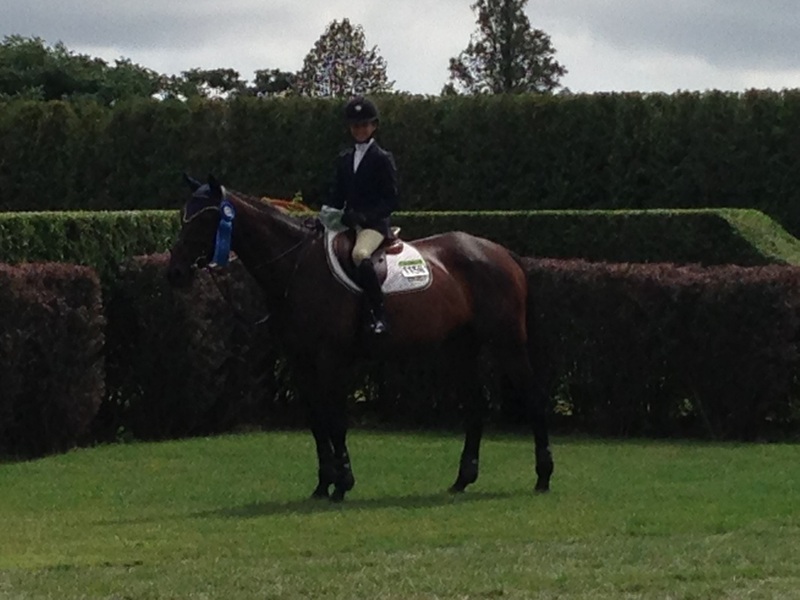 Big Congrats to Hannah Soifer for an amazing first horse show! 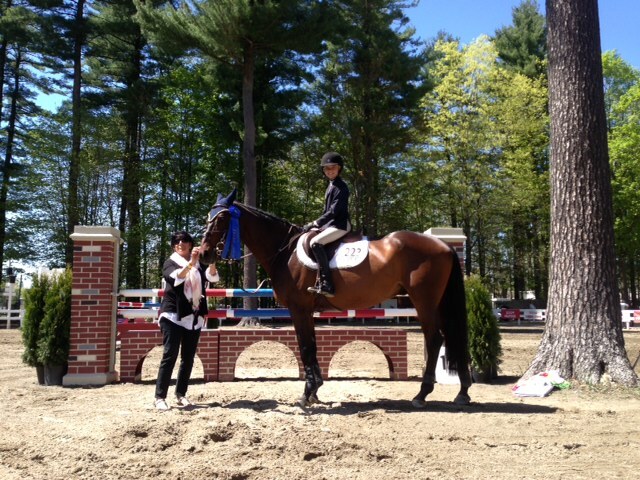 Hannah rode Coltrane in the Modified Children's Equitation and secured the championship with a 1st, 2nd, 2nd and 6th! We are so proud! Good luck this week at Fairfield! 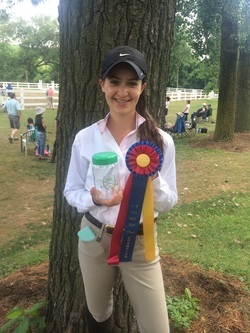 Our Spring/Summer season got kicked off with a bang as Isabella Russekoff and Eloquence won the Large Junior 15 and under hack at Devon, also winning The Paul Family Challenge Trophy! Isabella and Eloquence were also reserve champion at OSF II. Isabella also got top ribbons in the Low Junior Jumpers both weeks of Old Salem with her Cathlet! 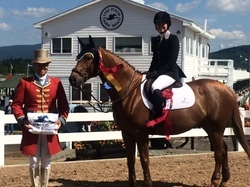 Another highlight from this summer was Ali Trischler earning the championship in the Children's Jumpers on Suave Pony LLC's Cayenne, the second week of Lake Placid. Ali and "Cricket" had all clear rounds in their 5 classes together over the 2 weeks! Great job Ali! Limelight Farm enjoyed a successful winter circuit in Wellington, check out some of the highlights below! 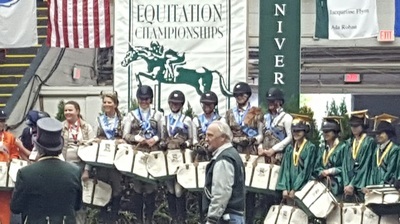 Children's Jumper 14 and Under CIRCUIT CHAMPIONS! Limelight Farm had fun weekend at the Old Salem Halloween horse show. 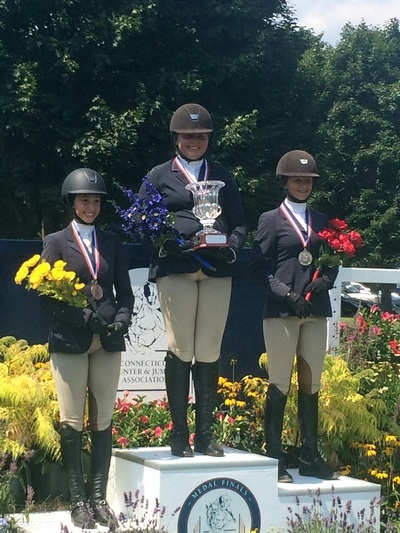 Lily Yampolsky and Barbara Milanese's Miss Ticket to Ride had an amazing day earning back to back championships. Lily and "Miss T" won three out of four jumping classes over two divisions, the Low Hunters and the Modified Children's Adult Hunters. There were 30 entries in both divisions including some professionals in the Low Hunters!!! We couldn't be more proud of this up and coming team. Willow and Monty also laid down a beautiful trip in the short stirrup earning a red ribbon amongst others. 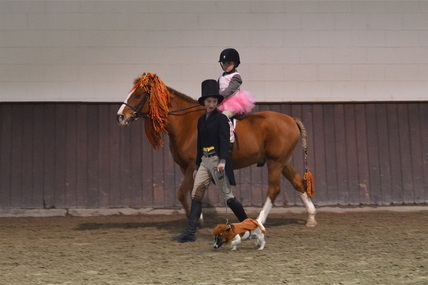 Willow, Lily and Monty (and sidekick Frances) also participated in the costume class. 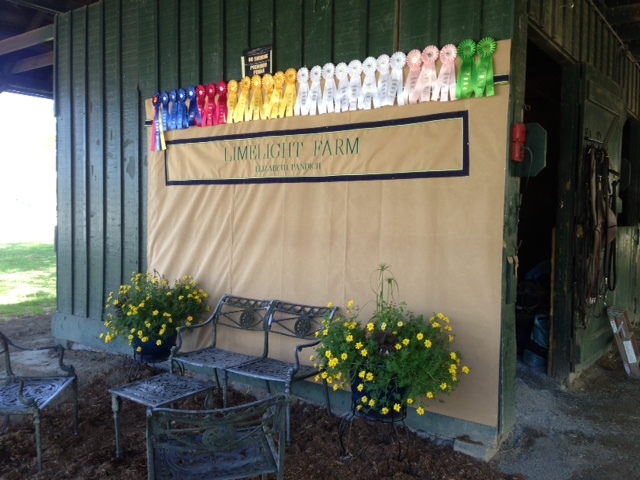 Limelight Farm had a great day at Fairfield on Sunday! The day started off with a bang with Willow Wright garnering the Short Stirrup Equitation Championship!!! Lily Yampolsky and Miss Ticket to Ride earned ribbons in the Children's Equitation and Medals, getting better and better with each class. Isabella Russekoff kicked off the new season for equitation points getting a nice start in this new division with a 3rd in the ASPCA Maclay! 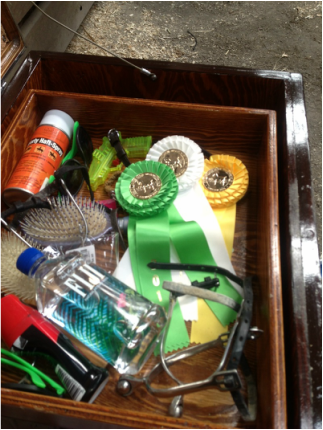 A few quick highlights of our last two shows of the summer, Fairfield County Hunt Club and the Hampton Classic. 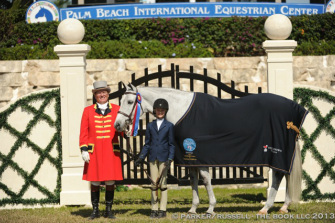 Chinchilla and Isabella - Top ribbons in Biq Eq debut! 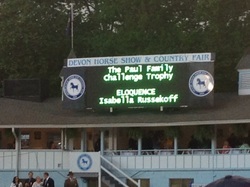 Perugina and Isabella - Class Winner! Shout out to Willow Wright for being Champion in the Walk Trot at HITS VIII!! We are so proud! 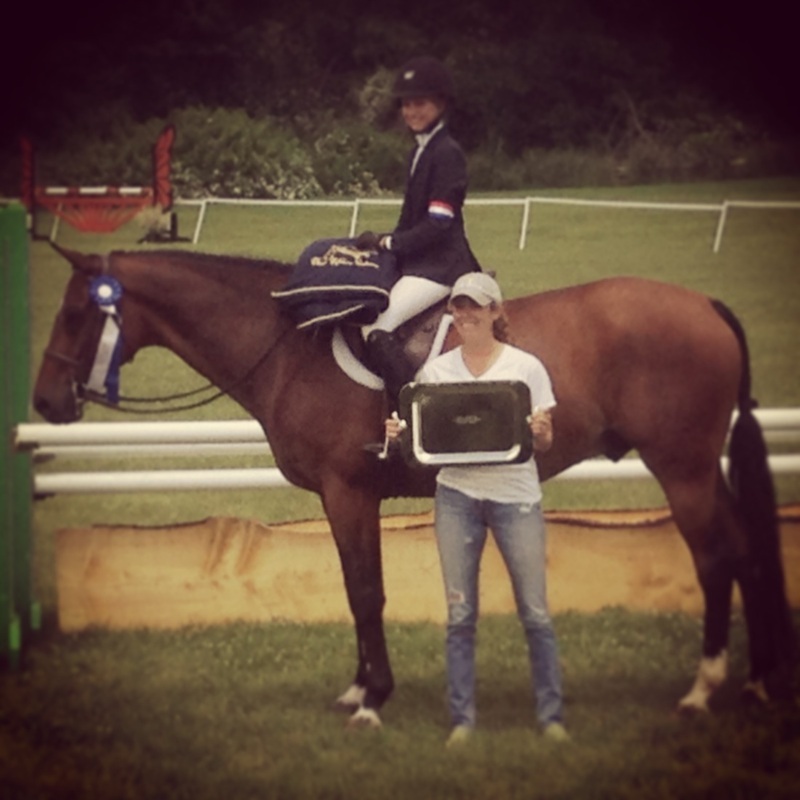 Isabella and Perugina after their win in the Hamptons! Limelight Farm has had a whirlwind summer of showing. From Lake Placid to Vermont. Almost too many accolades to fit in a paragraph. Some highlights include a derby placing for Cayenne and Elizabeth in Vermont. 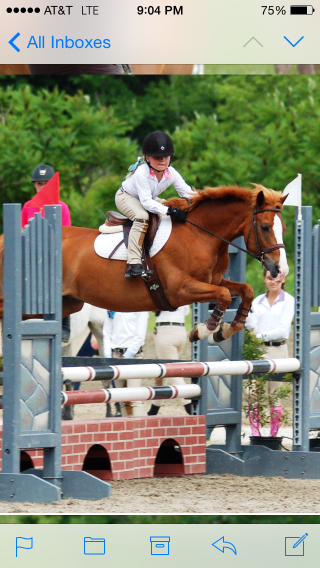 Thrilling Children's Jumper Classic ribbons for Perugina and Isabella in Vermont. Isabella and her youngest horse, Chinchilla debuting in the Big Eq!!! Looking forward to a fun end of summer at Fairfield and the Hampton Classic. What a great show!! Limelight made a splash, literally and figuratively at the beautiful Somers, CT venue. The highlight of the week was Isabella and her newest mount Asdi winning the 3'3" Derby against the professionals, with a score of 89 in the first round. Isabella was also named Best Junior Hunter Rider and Best Non-Pro Jumper Rider. With her horses picking up Champion and Reserve accolades in the Junior Hunters as well as winning the NEHC Medal on Chinchilla, it was a very exciting and successful outing! Limelight Farm is so proud of Winnetou and Isabella for getting three ribbons in the Small Younger Junior Hunters at Devon!!! An amazing performance for her first year there on a horse, what a bright future ahead! Summer camp is coming up fast! Camp is $500 a week, with discounts available for multiple weeks or multiple children! 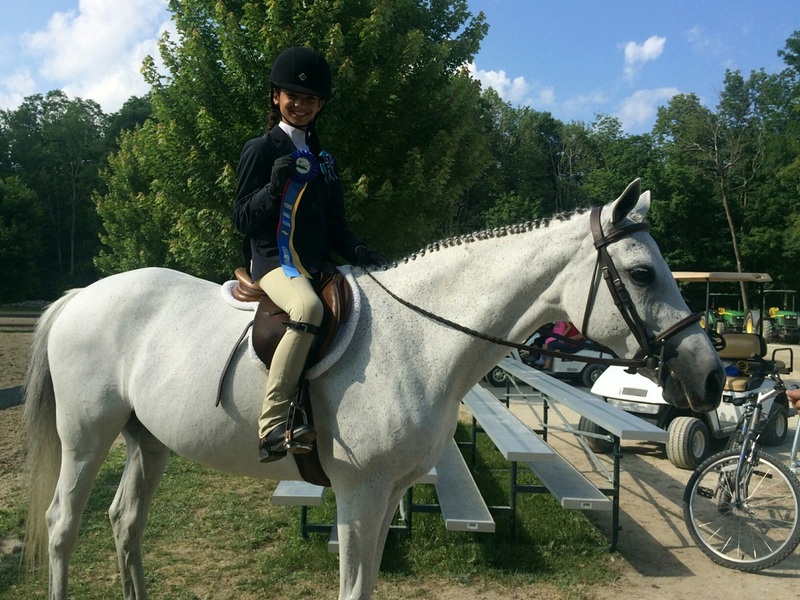 Limelight Farm had a banner week at the Saratoga Horse Show this past week! 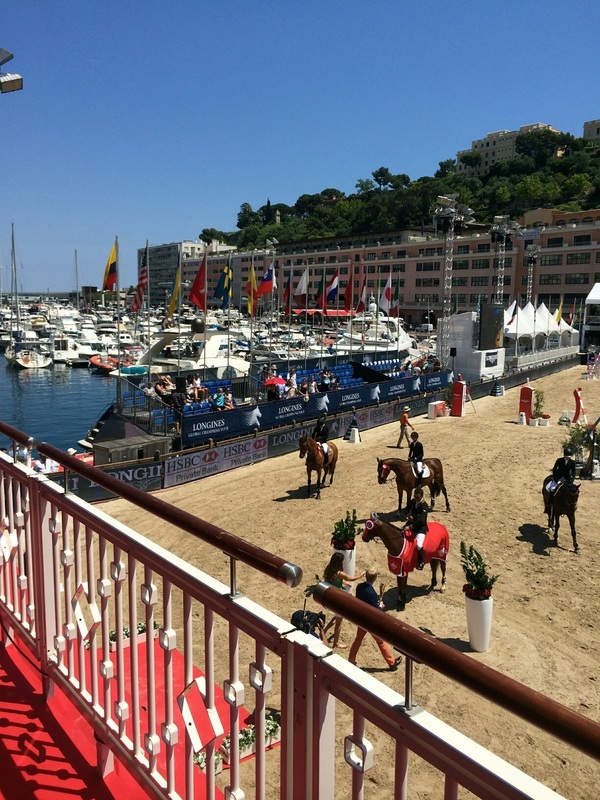 The conditions were unbelievable as were the horses we brought to compete. The week started off with a bang with Suave Pony LLC's Winnetou and Elizabeth winning 3 out of 4 jumping classes in the CDHJC Working Hunters, subsequently garnering the championship. Cayenne, formerly know as BonVivant, had top ribbons in the First Year Green Working Hunters as well as the CDHJC Working Hunters with Elizabeth. 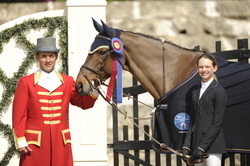 Henk Punt's Clown scored a top ribbon in the highly competitive 3'3" Performance Hunters with Elizabeth as well. 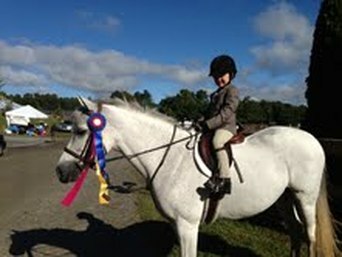 Isabella and her mounts finished up the week with exciting results. She and Winnetou made their Junior Hunter debut, getting top nods. She and Perugina started strong in their debut in the Children's Jumpers with 3rd and 6th placings in the regular classes, then brought home an exciting victory in the M & S Children's Jumper Classic! 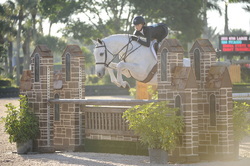 She an "Perry" were the only ones to jump clean in the 4 person jump off!! 4/28/13 - Limelight Farm had a great debut at their first show in Princeton, NJ. Cricket and Elizabeth won 4 out of 5 1st Year Green classes to sail to the championship. This was his first show as a hunter and has taken to it quite brilliantly! Isabella had an amazing show with her mounts, Perugina and Winnetou, as well as Limelight's Archie. Isabella started off with a bang by winning the .90m jumper class on Perugina, with pros competing in the class to boot! Isabella went on to a 4th place finish with Perugina in the Low Children's/Adult Jumper Classic. On Winnetou, she won a Children's Hunter over fences and finished 2nd in the Children's Hunter Classic. Isabella also showed veteran Archie aka Old Man on Fire to ribbons in the 3' equitation. While some of Limelight Farm was at Princeton, our youngest rider Willow was representing the farm at a barn show at home. She won numerous accolades including several blues on our two small ponies, Ollie and Kid. Great job Willow! We also want to formally welcome Lily Yampolsky to the barn, she is currently leasing Cookie, our large paint pony, and they are turning out to be a great pair. Heading to Saratoga this week for more showing, check back for results! 4/7/13 - Last night two new additions to the Limelight family settled into their stalls. Cricket aka Bon Vivant, an amazing hunter prospect that will debut in the 1st Year Greens with Elizabeth soon, as well as Children's Hunters with Isabella in the summer! Thank you Matt and Theisa from Hollberg Equestrian for such a great horse. Also on the truck, small pony Ollie, a new lesson pony that is cute as a (very chubby) button. Pictures to come soon! 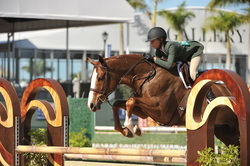 Congratulations to Isabella and her Florida mounts on an amazing circuit!